Its model number and name are #025 / Polaris. Character Bio - Lorna Dane's life is one of tragedy. When her mutant powers first activated, she was only a child, and the the uncontrollable nature of her abilities caused an accidental plane crash that killed her parents. In the aftermath of the crash, he real father, Magneto, ordered the villain Mastermind to wipe her memories, creating a host of psychological and emotional problems that Lorna still battles with to this day. Later on, when her mutant powers fully activated she was recruited by the X-Men, where she met Havok, with whom she shared a romantic connection. Lorna, who took the codename Polaris, was never fully comfortable with the superhero lifestyle. However many times she left though, she was always drawn back in. Once because of possession by the evil entity Malice, and other times due to her love for Havok or desire to help the mutant cause. 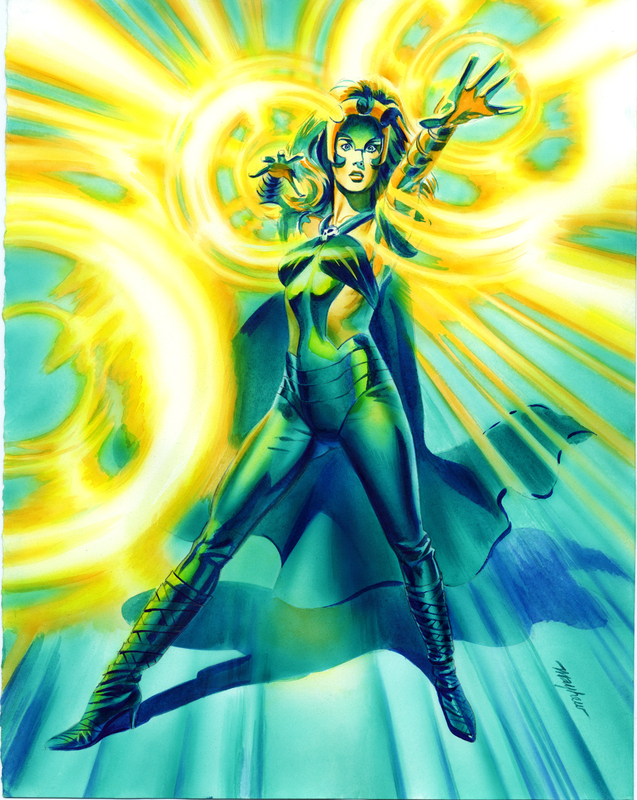 As Polaris, Lorna has been a member of the X-Men, the Brotherhood, the Starjammers, and multiple iterations of X-Factor, where she battles not only villains, but her own demons. 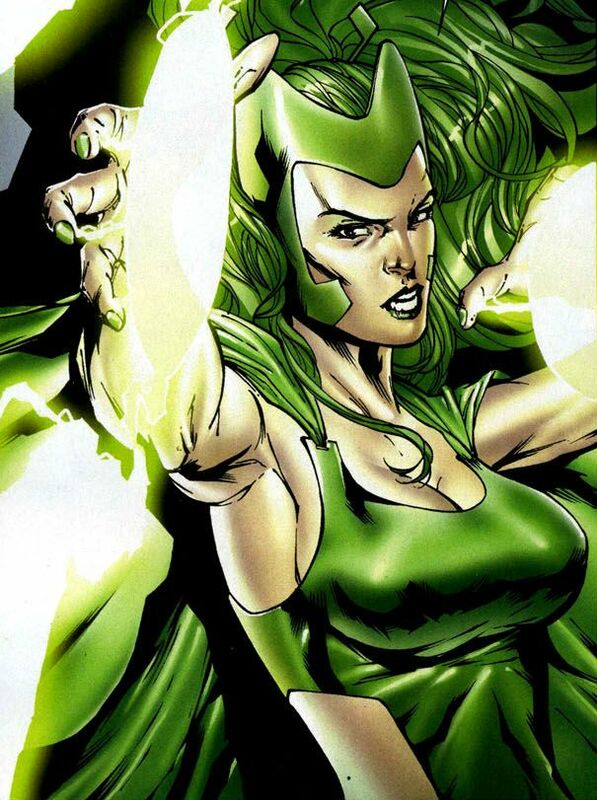 As a figure with the Super Strength special power, Polaris cannot be affected by aspects of certain special powers: Special Powers that Interact Differently with Super Strength special power. As a figure with the Flying special power, Polaris cannot be affected by aspects of certain special powers: Special Powers that Interact Differently with Flying special power. As a figure with the Super Strength special power, Polaris interacts differently with aspects of certain special powers: Special Powers that Interact Differently with Super Strength special power. Tiny, Large, and Huge figures cannot be affected by Polaris' Reactive Toss special power. Current Tiny, Large, and Huge figures. 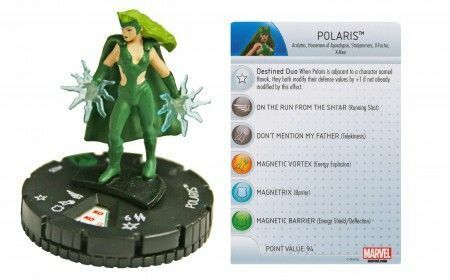 As a Mutant, Polaris interacts differently with certain special powers. Special Powers that Interact Differently with Mutants. As a figure with the Flying special power, Polaris can be affected by aspects of certain special powers: Special Powers that Interact Differently with Flying special power. Last edited by Ronin; November 9th, 2017 at 12:41 AM. Start the game with a green Magnetic Bubble Marker on this card. Once per round, after moving with Polaris, you may place your Magnetic Bubble Marker on this card or the card of a Unique Hero within 4 clear sight spaces. A figure with your Magnetic Bubble Marker on its card adds one automatic shield to whatever is rolled when defending against a non-adjacent attack. If Polaris or a figure with your Magnetic Bubble Marker on its card receives one or more wounds, return the marker to this card. Before an opponent moves a figure with your Magnetic Bubble Marker on its card, that opponent must roll the 20-sided die. If that opponent rolls 15 or lower, that figure may not move. If that opponent rolls 16 or higher, return your Magnetic Bubble Marker to this card. If an opponent’s small or medium figure moves adjacent to Polaris, you may roll the 20-sided die. If you roll 14 or higher, that figure's movement ends. Place the figure on any empty space within 3 spaces of its original placement. Tossed figures do not take any leaving engagement attacks and may only be targeted as they move into engagement with Polaris. Last edited by TrollBrute; August 14th, 2016 at 10:54 AM. Polaris! One of the most iconic Mutants yet to be designed. My biggest worry right now would be the power level of Magnetic Bubble, especially in the end game. Now, adding "if it is not the last figure in that player's army" to the power would limit that, even if it is a little clunky. The idea with the power is that she can either use it to keep one of her allies safe, at the (temporary) cost of their powers, or she can temporarily take an opponent's key figure out of the game, but making them almost impossible to wound. Another question is on Class. Outcast fits her well, I think, but Starjammer would also fit. There's also the mini. There are two: the newer one that I have listed in the OP, and the more available but ugly older one. I believe Starjammer is actually [redacted]. Last edited by Ronin; August 12th, 2016 at 09:54 AM. I believe Starjammer is actually [redacted here too]. Right you are! Either way, the question is which faction do we want to tie her into more? Polaris was only a Starjammer for a few years (appearing intermittently from 2007 to 2011). I think her most iconic role is as a member of X-Factor (79 issues from 1991 through to 1998, and currently since 2012). We don't really have any real faction there, though. I'm not really sure where the motivation for Outcast is from, though... I know she's been an ally of Magneto but is that a long-term thing? Design seems fine to me, lack of an at-will throw threw me at first (ha, no pun intended), but it'll probably play fine that way. I think there's enough built-in to the Bubbling that it shouldn't be a major issue. Seems like a fun design overall. Oh, and definitely the green outfit for the mini, I'd definitely call that her most iconic (and nicest looking!) costume. I don't have much of an opinion on her class, but I definitely prefer the newer mini. 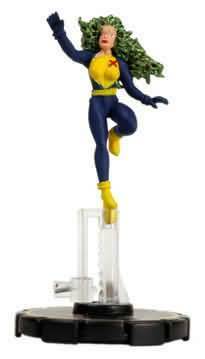 I really like her powers but I do worry about Magnetic Bubble. Against an OM hub unit she could toss the marker on them and effectively block the opponent's entire round (assuming all the OMs are on them). One possibility would be to change it so that when the unit takes a turn, they have a chance to remove the marker based on a D20 roll. Also, it's a bit weird that she can't choose to pull the marker back to her card, it seems like she should be able to do that. I was discussing this with Hidicul and he suggested Agent for a class. I like the reactive toss power, it seems pretty neat and will really frustrate melee heavy hitters. Not sure if I follow why the bubble gives them 2 auto shields, if she locks them down so they can't move wouldn't they be easier to hit? Cool power selection! Nice to see Magneto's other kid finally get some love. There's a typo in the first power. A "not" is listed as "no" in the last sentence. Against an OM hub unit she could toss the marker on them and effectively block the opponent's entire round (assuming all the OMs are on them). There are several figures out there that can really punish OM hubs. The counter is to not put all your OMs on your OM hub if Polaris has an OM on her. Also, it's a bit weird that she can't choose to pull the marker back to her card, it seems like she should be able to do that. "After moving, you may place the Magnetic Bubble Marker on the card of a Unique Hero within 4 clear sight spaces." Is she considered a Unique Hero within 4 clear sight spaces? I forget how we ended up ruling that. There's definitely no current restriction that the marker has to be on her card for her to place it. That's a pretty powerful synergy to give someone who's already a Mutant. What's the theme behind Agent for her? Given her power set, would Protector make sense, if there's no synergy group that makes total sense for her? A quick wiki search doesn't show her as ever being part of the Brotherhood, so Outcast doesn't add up (as much as it'd be fun to add another). She wouldn't be within clear sight of herself according to Avalanche's R&C.